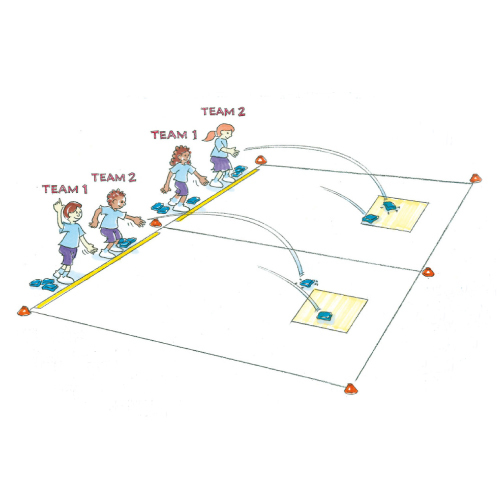 Kolap is a target game that provides interest and variety to other games, like bocce. This activity also helps to improve accuracy. Players work in teams of 2 to throw objects toward a designated target, such as a mat. For each successful throw, teams are awarded 1 point. The ball must land completely on the target to score. The first team to a set number of points wins. Can you show me the best type of throw to use to hit the target? What type of throw lands softly? What type of throw goes further?